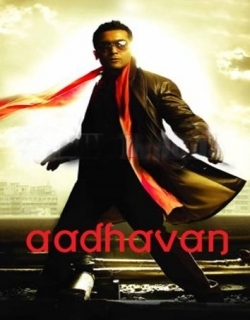 Aadhavan is a 2009 Indian Tamil thriller, action film released on Oct 17, 2009. The film is directed by K. S. Ravikumar, produced by Udhayanidhi Stalin under banner named Red Giant Entertainment Ltd. The film opens up in the city of Chicago, located in the United States of America with a deal of killing an enemy going between the members of two mafia organizations. They identify the man and find out that he will be visiting Kolkata, India in a week and hire an assassin in the name of Ibrahim Rowther (Sayaji Shinde). The film then shifts to introducing Tharani (Anand Babu), Rowther's son and his foster brother, Aadhavan (Surya Sivakumar). After helping their father finish the transaction successfully, they are contracted by Abdul Kulkarny (Rahul Dev) to assassinate a prominent Judge of the name Subramaniam Murali, who is presently working on child kidnapping and murder cases in the East Indian belt for sale of their organs to foreign countries. Aadhavan fails to shoot the judge on the first attempt and angry with himself for having missed his shot, he promises to finish his mission. He then proceeds to use the judge's innocent servant Bannerjee (Vadivelu) to get into the family home as Murugan, Bannerjee's brother-in-law. He locks up Bannerjee's real brother-in-law, Murugan (Sathyan), in a ship and threatens Bannerjee with his name all the time. Slowly Aadhavan, as Murugan, begins to win over the members of the judge's household beginning with the judge's mother (B. Saroja Devi), and eventually and finally, his niece, Thara (Nayantara). He attempts to assassinate the judge in the middle of the night and also plants a bomb in the van while the judge is traveling to Darjeeling, but both attempts fail. In Darjeeling, Aadhavan is handed over a guitar belonging to the aspiring wannabe musician, Ilayaman (Ramesh Khanna) by Thara to hide away. He plants a mobile bomb in the guitar and places it in one of the cars which soon explodes. The film opens up in the city of Chicago, located in the United States of America with a deal of killing an enemy going between the members of two mafia organizations. They identify the man and find out that he will be visiting Kolkata, India in a week and hire an assassin in the name of Ibrahim Rowther (Sayaji Shinde). The film then shifts to introducing Tharani (Anand Babu), Rowther's son and his foster brother, Aadhavan (Surya Sivakumar). After helping their father finish the transaction successfully, they are contracted by Abdul Kulkarny (Rahul Dev) to assassinate a prominent Judge of the name Subramaniam Murali, who is presently working on child kidnapping and murder cases in the East Indian belt for sale of their organs to foreign countries. Aadhavan fails to shoot the judge on the first attempt and angry with himself for having missed his shot, he promises to finish his mission. He then proceeds to use the judge's innocent servant Bannerjee (Vadivelu) to get into the family home as Murugan, Bannerjee's brother-in-law. He locks up Bannerjee's real brother-in-law, Murugan (Sathyan), in a ship and threatens Bannerjee with his name all the time. Slowly Aadhavan, as Murugan, begins to win over the members of the judge's household beginning with the judge's mother (B. Saroja Devi), and eventually and finally, his niece, Thara (Nayantara). He attempts to assassinate the judge in the middle of the night and also plants a bomb in the van while the judge is traveling to Darjeeling, but both attempts fail. In Darjeeling, Aadhavan is handed over a guitar belonging to the aspiring wannabe musician, Ilayaman (Ramesh Khanna) by Thara to hide away. He plants a mobile bomb in the guitar and places it in one of the cars which soon explodes. Check out this page for more updates on Aadhavan. 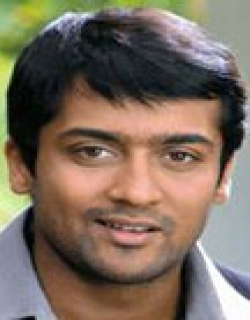 This page provides latest and updated information about Aadhavan (2009) movie which released on Oct 17, 2009. Aadhavan (2009) is directed by , produced by , starring .We have also provided 0 trailers and videos, 1 photos, 0 user reviews, and 0 critic reviews.You can review, like, dislike this movie and also can add to favorites. You can also find information on showtimes, CDs, DVDs, online rental, online free watching.